Integrate electronics and add smart behaviours to your projects. 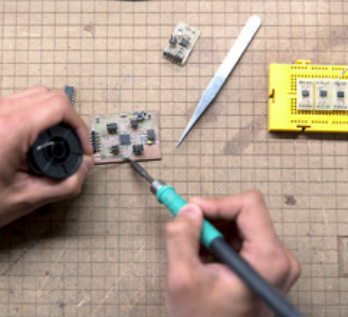 Integrating electronics into design is increasingly frequent nowadays with the development of connected designs, the Internet of Things (IoT), Wearables, etc. 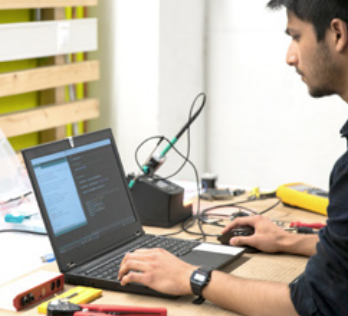 The Postgraduate Course in Electronics and Media Prototyping delves into the learning of electronics and programming in order to equip designs with mechanical behaviour and interaction with the environment, both physically and digitally. This postgraduate course forms part of the structure of the Master in Digital Fabrication and Media. Develop your creativity and ability to solve design problems while providing specific solutions to real manufacturing problems. Delve into the development of connected designs (IoT and Wearables). Give your projects the ability to interact and respond to the environment surrounding them. Understand and control the differences between Idea, Project and Product, understanding the implications involved in moving from one to the other. Obtain a roadmap of the numerous processes in technological development that are currently arising and the guidelines for incorporating them into projects. 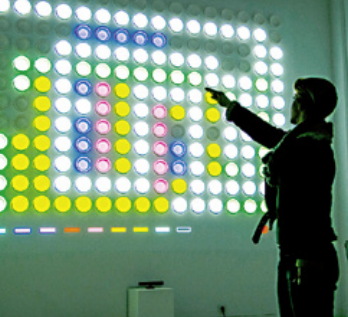 Professionals that are able to develop projects that require complex behaviours achieved through electronics and programming, as well as to generate personalised user experiences. With this postgraduate course, you will develop an ideal profile for companies that require rapid development of solutions for specific problems (advertising, communication, design studios etc.) or which what to control the design and development of their products. Architect specialized in infographics and 3D modeling. Run the Fab Lab IED Madrid together with Daniel García and teaches the courses of Digital Fabrication in MediaLab Prado (Madrid). 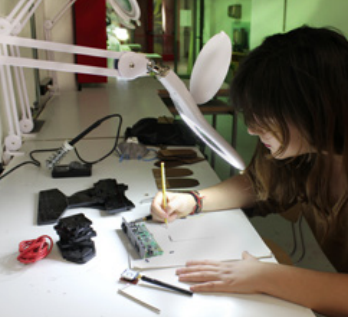 Has been Manager in Fab Lab UPM and has taught classes, seminars and workshops in the UPM, CEU and IED Madrid. In the professional field, as freelance, has developed projects of Digital Prototyping, Design, infographics and Interior Design through his carpentry workshop. Run the Fab Lab IED Madrid together with Ignacio Prieto and teaches the courses of fabrication in theMediaLab Prado (Madrid). Architect and Master in Advanced Architectural Projects (MPAA). Was Manager of the Fab Lab in the Polytechnic University in Madrid (UPM) and has taught at several universities like UPM, IED Madrid, CEPT University or Camilo José Cela University. As an Architect, he was founder member of Papalagi Studio, a national and international competition award winner. The teaching methodology of the IED Innovation Labs constitutes the convergence of the theoretical knowledge of the best international professionals with their practical development in the Fab Lab, a prototyping laboratory fully equipped with everything necessary for the whole development of projects. During the week you develop in a practical manner everything you have learned during the lectures guru’s an mentor’s sessions. Directed to : graduates or holders of diplomas in the fields of art, design, architecture, etc.